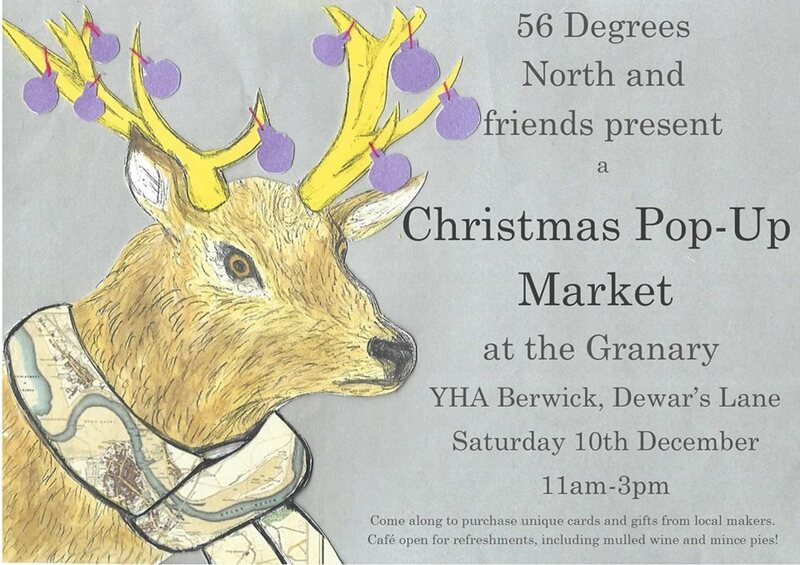 Next Saturday I'll be joining the lovely folk of 56 Degrees North studios at their pop-up market. 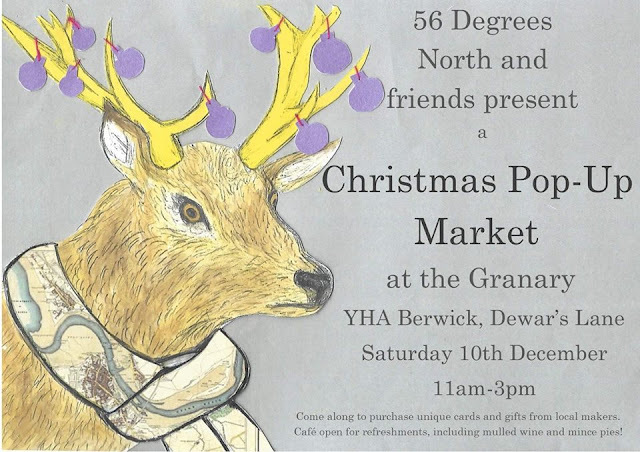 I will have a selection of sea glass and pottery jewellery, some enamel buoy jewellery and maybe even a bargain basket. This will be the first event I've done in ages as running the gallery did not leave much time for other events so it'll be fun to pop up somewhere different next weekend. It will be a festive occasion and yes, if you read the small print that does say mulled wine and mince pies! See you there!